Finance Your Dream Home in El Paso TX and Fort Bliss Area Imagine buying your dream home. Connect with a lender to help you make it happen. Our team of local financing experts are ready to guide you through the home buying process. 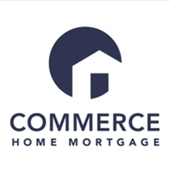 We are committed to fast, professional, courteous, and personal service to help you understand and feel at ease throughout the home buying process. Our trained and certified loan originators specialize in financing homes in the El Paso area real estate market. We are prepared to find the right loan program with competitive rates and low down payments for you. Pre-qualification acts as a dry run of the loan application process. The mortgage lender will use details you provide about your credit, income, assets and debts to arrive at an estimate of how much mortgage you can afford. The whole process may take only minutes or a few hours at most and is free. While a “pre-qual” is non-binding to the lender (because the information you provide has not been verified), it does serve as a good indication to potential sellers of your general creditworthiness. Please do not submit any confidential information. This will be shared with both Movement Mortgage and The Purple House Real Estate Group / ERA Sellers And Buyers Real Estate.